You had to think I would resurface at some point, what with a new David Mitchell book being released, no? 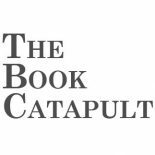 The Catapult has been on some sort of hiatus, as you faithful readers can no doubt tell – those 2 or 3 of you still out there. The new job (great) and the new baby (even greater) has left little time for reading like I used to, let alone writing about it. But I am going to make a valiant effort to reboot the ol’ Catapult here, mainly because I miss having a creative outlet, even if no one else reads any of it. Those of you who have visited this site before will notice that I have ditched the Blogger platform in favor of the sleeker, cooler WordPress. Still working out kinks – and this will probably not be the final template, but for now, it will do. Despite what nerds of the multiverse like myself might tell you when they get in a lather, you never really have to read any other David Mitchell novel other than the one that strikes your fancy. Found a copy of Black Swan Green in some yard sale? Enjoy, my friend! Don’t worry that Jason Taylor’s cool cousin Hugo will someday become an immortal devourer of souls! Just kick back and enjoy Jason’s teen-angsty adventures! You’ve never met Eva van Outryve de Crommelynck before and you couldn’t possibly care less! In fact, I envy you, in a way. See, nerds like me spend their Mitchell-reading time and going over everything with a fine-toothed comb, tracking characters and making note of those that float between the pages of the complete metanovel. Do you care that all of Mr. Mitchell’s novels – there are seven now, which is not yet the super-exciting number NINE quite yet – are related to one another and are all part of a vast, interconnected universe with countless, sneaky recurring characters floating between the pages? Of course you don’t. And this slim, weird little gem, Slade House, is a perfect example of why that is just A-okay, friend. Welcome! Here’s the thing, I’m not going to write an extended blow-by-blow synopsis of Slade House for you here. Just this: five sections, all set at 9-year intervals (nine!) in and around a shadowy, strange mansion behind massive walls in a posh neighborhood in London. If you go into Slade House, chances are good that you will never come out – because there is a pair of soul-stealing siblings inside who need to lure you into the shadows and feast on you in order to maintain their immortality. Sigh… Really, just go ahead and read it like the spooky story that it is and enjoy. Slade House operates more as a stand-alone vignette set within the Mitchell-verse – it is certainly not the next meaty novel we nerds might be hoping for, but it is an interesting glimpse into the strange new corner of the world he is building. My takeaway from it was that it’s fine for the Mitchell newbie – I’ve read a lot of commentary about it being scary etc, which people seem to dig – but for the seasoned nerd or the literary critic… maybe it’s lacking a bit in some regards. For me, I’m still not sure what exactly is going on with this metanovel subplot (at least I’m hoping it’s just a subplot) of the Horologists, the Shaded Way, and all that jazz (see The Bone Clocks) – all of which is firmly at the heart of this novel. My not knowing what might be happening in the grand scheme of the Mitchell-verse is, of course, a large part of the fun for me, but something here didn’t ring true enough to my ear. SH feels a bit like a polished up writing experiment by Mitchell, trying to flesh out the finer points to this emerging element to his universe. Again, this may be fine in the sense of being a purely enjoyable, science fiction-y, ghost story, but I have come to, dare I say, expect more from this man. Expectations, of course, lie squarely on the shoulders of the reader, not the writer. Yet… The prose is not glittery and memorable, like Cloud Atlas, nor is the plot intricate and dazzling, like Number9dream, there isn’t the heart that beats through Black Swan Green, and the characters don’t feel like they actually live and breathe like they do in The Thousand Autumns of Jacob de Zoet. This is essentially a novel about soul-sucking vampires, so maybe who really cares? Am I – some jerk with a blog – completely on board with this sci-fi/fantasy heavy section of the David Mitchell metaverse? Does it matter? “The idea of confining an entire genre as being unworthy of your attention is a bizarre act of self-harm,” Mitchell himself told Slate recently. There you have it. In my face from the man himself. Alas, the wackometer needle does climb. Characters deliver big chunks of artless exposition so readers can keep up with metaphysical nuances. The dialogue often has a Lovecraft-meets-Hardy Boys flavor. What is the significance of a dead moon-gray cat, I ask you? The Chetwynd-Pitt family – Rufus C-P is a friend of Hugo Lamb in The Bone Clocks. I’ve wondered if there was some connection to the monkey named “William Pitt” in Thousand Autumns, although I’m sure Rufus would say he’s more closely related to the real William Pitt, Earl of Chatham (1708-1778). Though, now that I mention it, there’s a Cloud Atlas reference there that I hadn’t noticed – the Adam Ewing section was set on the Chatham Islands… Too much? Yeah, probably. The moon-gray cat – as far as I can tell, this is the fourth moon-gray cat to appear in the Mitchellverse. (Black Swan Green, Thousand Autumns, Bone Clocks, Slade House.) However, its first appearance in SH it is dead… which HAS to mean something, somewhere… Is this all a dream? Will Sixsmith wake up and find Marinus in the shower? Fern Penhaligon – sister of Jonny, who featured prominently in the Myrrh Is Mine, Its Bitter Perfume section of The Bone Clocks. There is also a Captain Penhaligon in Thousand Autumns, so the family is firmly entrenched in the Mitchellverse. Iris Marinus-Levy – obviously, this is the most exciting recurrence. Mitchell has said he is working on a loose Marinus trilogy, although I would imagine it might be a quartet now. Marinus was -Fenby in The Bone Clocks, so I’m not sure what that means. Assumed name for SH? He/she seemed to physically & chronologically be the same body. For those wondering, Marinus was a doctor in Dejima, Nagasaki, Japan in Thousand Autumns, but we learned he was an Horologist in TBC, meaning he is immortal and is reborn over and over again in new bodies. Marinus is the crux of the whole universe, to my mind. I’m still not convinced that Marinus is not also Meronym from Cloud Atlas. (See David Mitchell Conversation Recap for more on that theory. Enomoto – a Deep Stream fanatic from Japan that the twins in SH learned the dark arts of immortality from. He is grandson to the Enomoto from Thousand Autumns – as Marinus describes, he “knew Enomoto’s grandfather in a former life. A murdering demon of a man.” Like grandfather, like grandson. That’s all I’ve got. Bottomline, I found Slade House more fun as a Marinus sideline story with breadcrumbs to follow throughout, rather than a solid addition to the canon. Which was kind of good enough for this reader. Very cool. I’m glad the Catapult is back! Thanks, Jim! Good to be back. What’s the best David Mitchell book to start with? Hi Susan – you really can start anywhere, since they’re all so different. “Cloud Atlas” is my personal favorite, since it’s so unusually structured and bends all the rules of genre and time within the space of a novel. Unlike anything else I’ve ever read. But “Black Swan Green” – sort of a semi-autobiographical coming-of-age novel about a 13-year-old boy – or “The Thousand Autumns of Jacob de Zoet” – historical fiction set in 17th century Japan – are more approachable in some ways & probably the easiest way to dip your toe into the David Mitchell swimming pool. How’s that? It doesn’t matter where you start – just start! Nice piece Seth. Congrats on baby. Website looks nice. Hope you pop in now and again, having a little one really puts a dent in any spare time. Also, I think you have more readers than you think. Loved Slade House and I wasn’t expecting to. I thought it would be too gimmicky but it totally worked and genuinely frightened me. given much excitement tto every single sports enthusiast. For whoever has experienced the craziness of rushing into buying tickets for a favourite team’s games, it isn’t a fairly easy task. This entry was posted on December 3, 2015 by bookcatapult in David Mitchell, review, Slade House.